A palm civet cat, with a long body, ferret-like face, and white, brown, and black markings. It is standing on a tree trunk above a concrete floor with metal fencing creating a large cage around it. The civet is in the center of the image, looking left, with its long black tail hanging down from the tree. 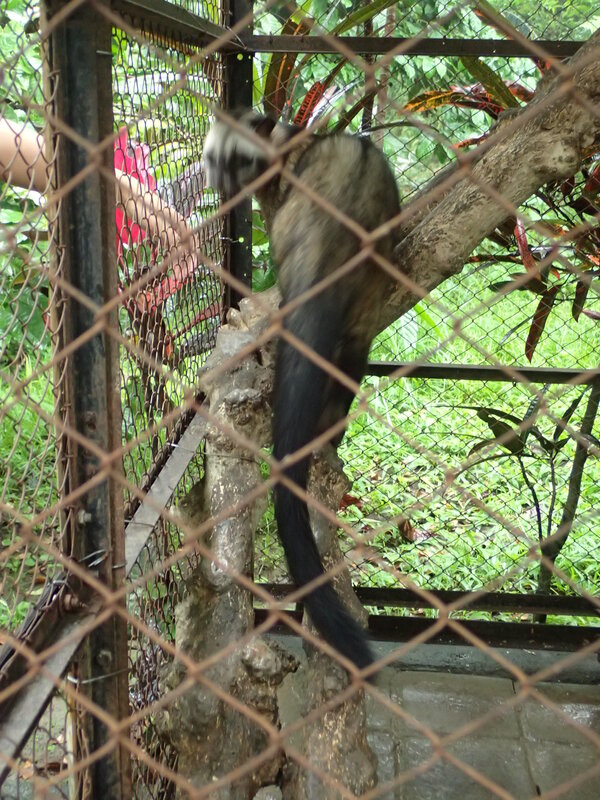 A human arm is slightly visible on the left beyond the cage, and showing by scale of comparison that the civet is around a meter in length.